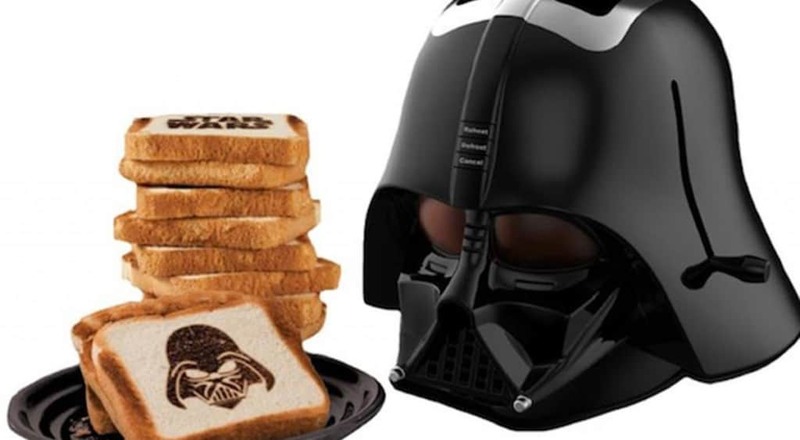 In anticipation of the release of Star Wars: The Force Awakens in cinemas, Disney has begun to roll out a vast merchandise operation that has seen all sorts of products branded with the franchise’s name and characters hit store shelves. This is nothing new though. In fact, George Lucas and LucasFilm made more from sales of toys, games and accompanying items than they ever did from the movies themselves. Not every single one has been all that useful though or made sense, with fans being able to get their hands on some bizarre Star Wars products in the last 30 years. 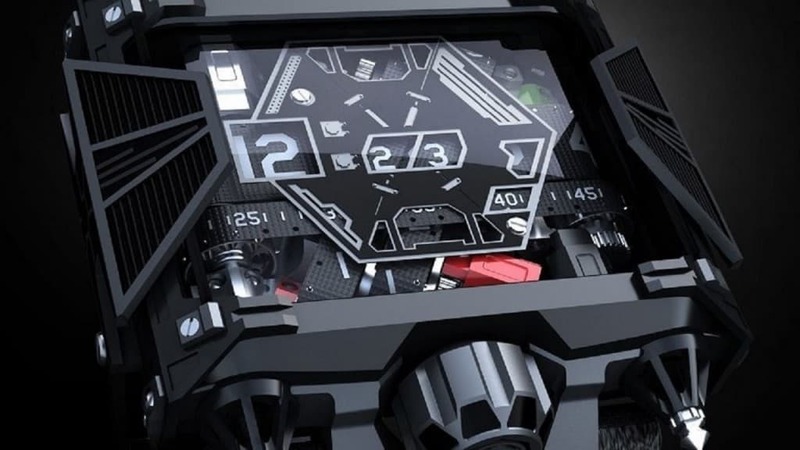 Modeled on the shape of both a TIE Fighter and Darth Vader’s armor, this watch was specifically created in the run up to The Force Awakens and is part of just a limited run of 500. It will set you back a pretty penny though as it costs $28,500. 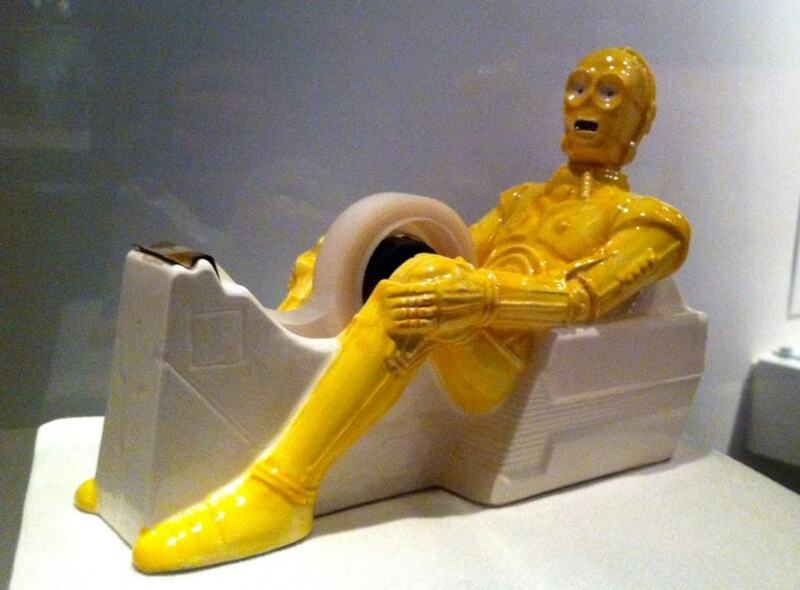 Not only is the C-3PO tape dispenser bizarre in its own right, it seems even more unusual when you consider the pose of the droid and the expression of the face. 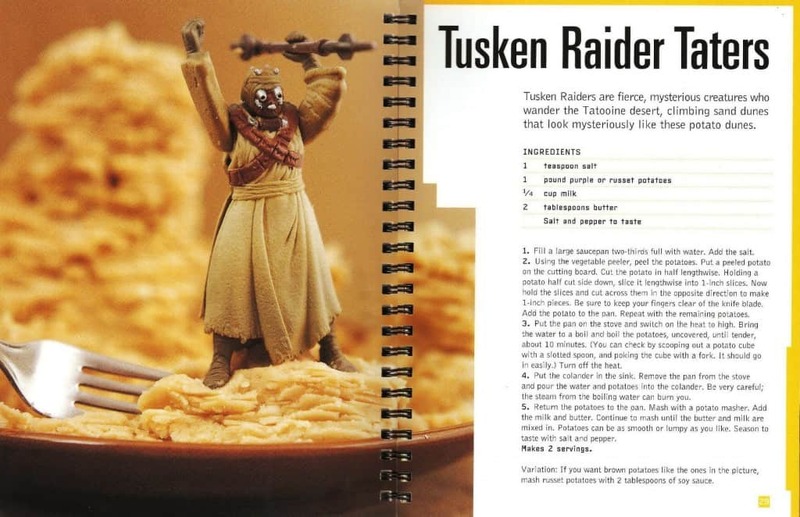 There’s really very little need of a Star Wars cook book, especially as we rarely see the characters eating, unless you count Yoda’s homemade stew. 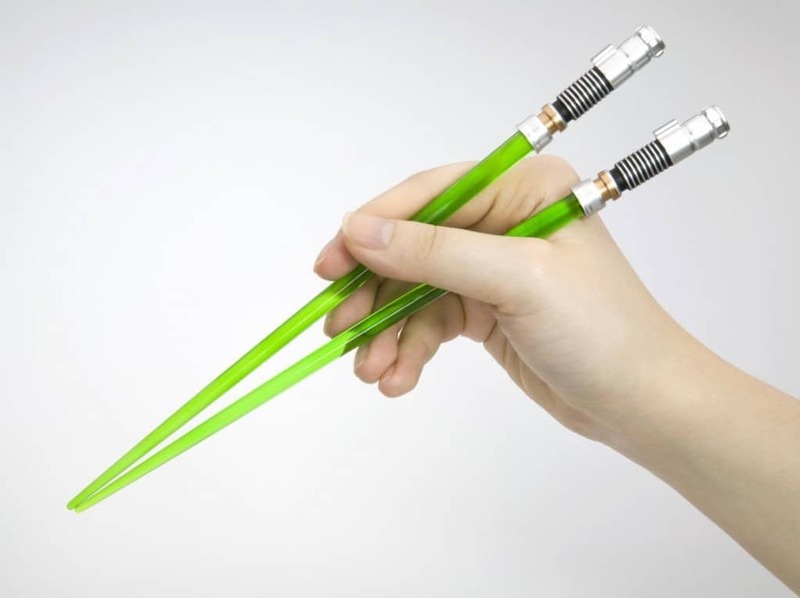 Sticking with the culinary theme, various stores sell these Star Wars themed chopsticks that have been made to look like tiny lightsabers. What is even more impressive is that you can get a variety of colors to match your favorite Jedi or Sith. If you have ever wanted to feel like a crime boss such as Jabba the Hutt, one company has created the perfect product for you. 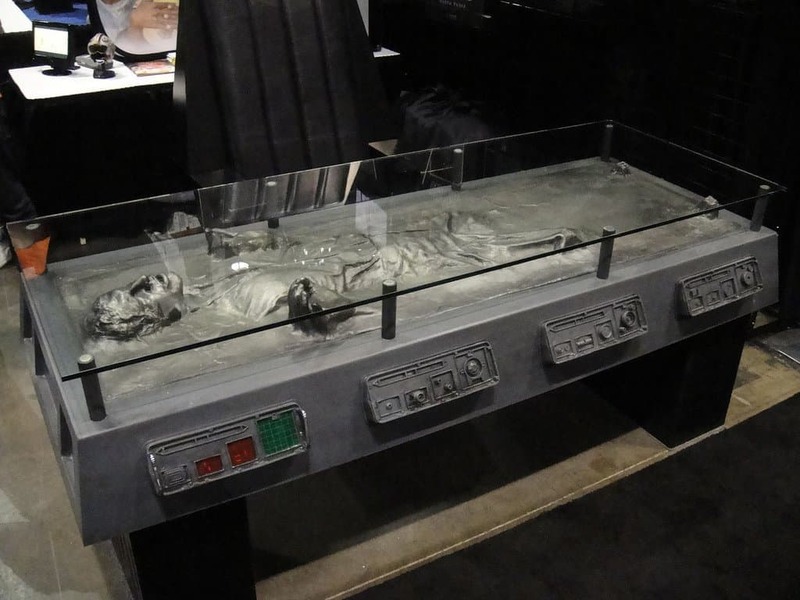 This desk has been modeled to look exactly like smuggler Han Solo after he has been frozen in carbonite. Although this isn’t an officially licensed product from LucasFilm or Disney, it is still rather strange that anyone would want a Millennium Falcon electric guitar. 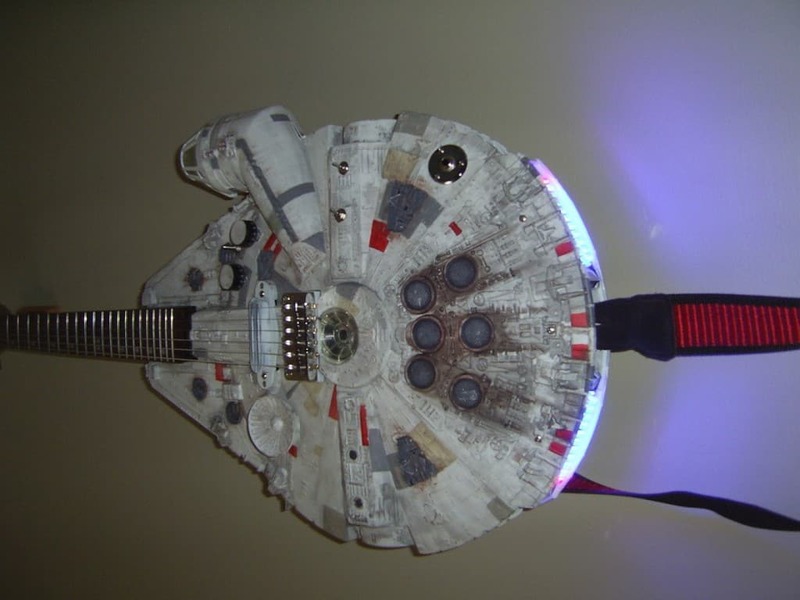 Created by Doni Custom Guitars, it features LED lights and is made from old toy parts. 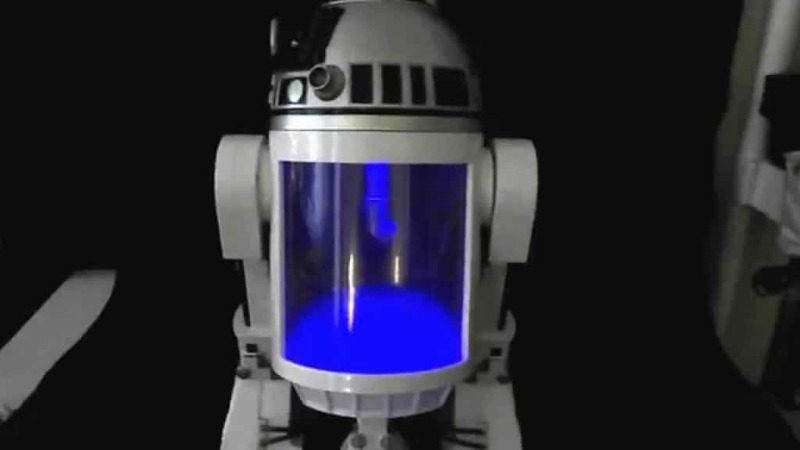 The favorite of the two droids that have accompanied the various heroes throughout the franchise, R2-D2 has made his way through all types of merchandise. This particular example is perfect for those looking for an aquarium but also want their fish to know how much they love Star Wars. 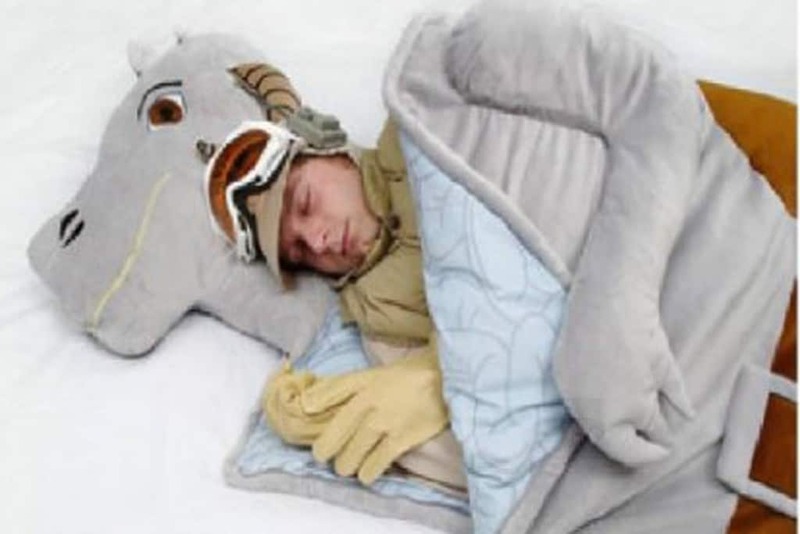 The people behind the Tauntaun Sleeping Bag were well aware of just how strange the product was as they initially only announced it as an April Fool’s day joke. However, when they received hundreds of requests from people looking to buy it, they began to make them. 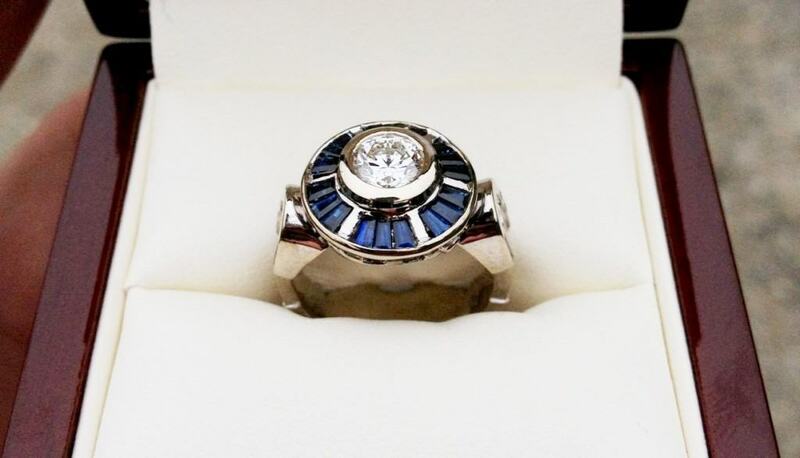 Both you and your partner would have to be pretty into Star Wars for you to even consider buying a themed engagement ring. Just in case that describes you, then you can get this R2-D2 version.